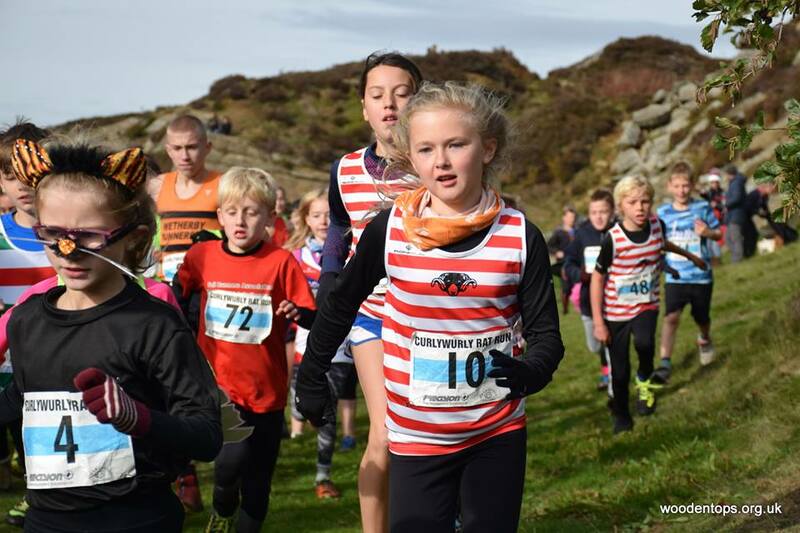 Old and young red and white hoops took to the fells last Sunday, dashing across Bronte country at the Withins Skyline fell race. Starting from Penistone Hill Country Park and circuiting The Stoop and Top Withens, the 6.2 mile senior race then returns by Bronte Bridge. Paul Haigh, first CV home, completed the course in 48 minutes, 5 minutes faster than last year and finishing an impressive 25th out of 246. The juniors were out in full force flying the CV flag and bounding with Curly Wurly energy. All 20 juniors ran brilliantly. The girls paved the way, with Maya Brunt first girl home in the U15s and Emilia Wright 3rd. Four boys finished in the top 10 in the U9s with Harry Cliff, clearly inheriting his father’s skills, finishing 2nd, Joseph Stone 7th, Leo Hackett 8th and Ted Parker 9th. The U11s saw Ollie Pickins 10th boy, Wynn Standish 15th and Olivia Falkinbridge 7th girl. Similar results were seen in the U13s with Charlie Pickins 6th and George McFie 7th and Fearne Hanson 8th girl. Will Hall was 4th boy and Elijad Peers Webb 8th in the U15s.